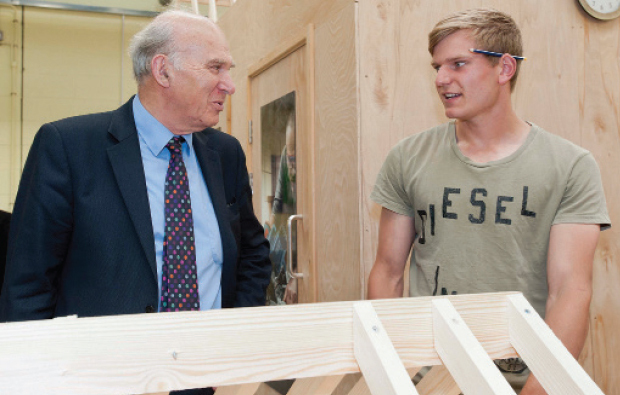 Business Secretary Vince Cable dropped in on students at Warwickshire College to see how they are minding their own business. Dr Cable visited enterprise and entrepreneurship students working towards a diploma at the college’s Peter Jones Enterprise Academy (PJEA) as well as meeting students from construction, plumbing and carpentry. said: “Dr Cable asked about my business, which is called Glow All Out, providing products for festivals. Dr Cable also visiting the college’s Power Academy, which trains engineers in power generation manufacturing. “It is good to see a college giving people the key skills and training to help build a balanced, sustainable economy,” said Mr Cable.